Posted: Mon Jun 14, 2004 9:25 am Post subject: General Sphinxyness. How much can you talk about Sphinx? They are cool and everything but can talk about them much? I know! We could each state a fact about them, then maybe we could find out some unknown truths. ... Well I don't really know anything actually. Ummm, they have human heads (a pharaoh's I presume) and a Lion's body. Posted: Mon Jun 14, 2004 2:42 pm Post subject: Re: General Sphinxyness. Androsphinx, which has the body of a lion with a human head, like the Great Sphinx. Crisophinx, which has the body of a lion with a ram head. Hierocosphinx, which has the body of a lion with a hawk's head. The androsphinxes had different forms as well. Well I'v leant something new already! Has anybody got any more facts? There is an avenue of Sphinxes in thebes. 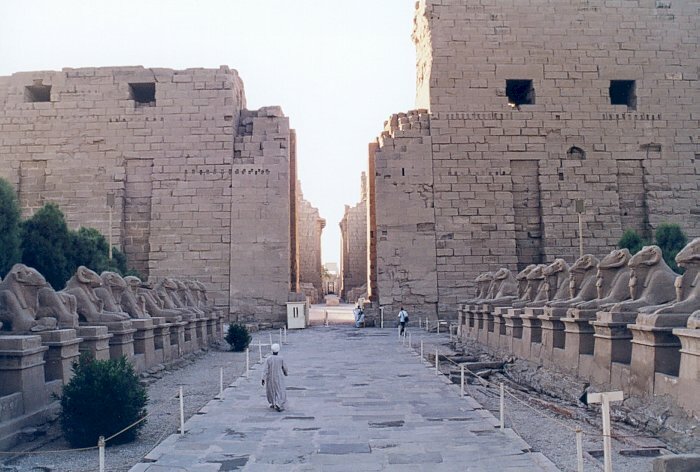 The avenue of human-headed sphinxes runs more than a mile, between the Temple of Luxor and the Temple of Karnak. A long, straight avenue like this is called a dromos. Most of this dromos remains buried under the modern city of Thebes. 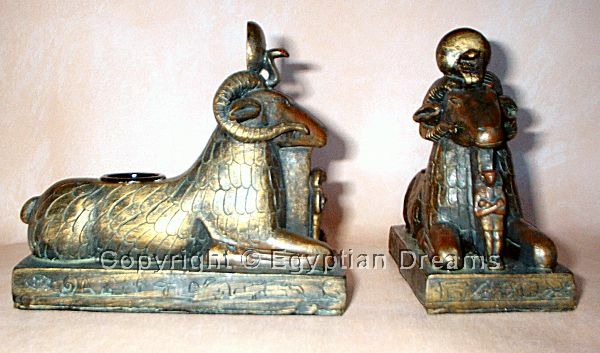 Actually, those are crisosphinxes, lion's bodies with the head of a ram (symbolizing Amon). Finally found a closer view to one of these crisosphinxes. 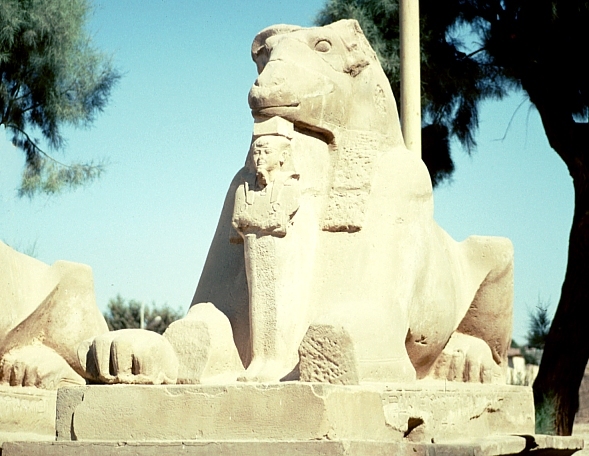 At the temple of Amun in Karnak, the sphinxes which flank the entrance of the First Pylon of Karnak combine the body of a lion with the head of a ram. The ram was a symbol of the god Amun for whom the temple was built. Each sphinx protects, between its forelegs, a standing statue of the Ramesses II. Couldn't have said it any nicer. I would be very intrested in your mouse mats, but I have a laptop. Booger. Or is it 'bugger'? I know what it means and how it sounds, but not how it's written. And yeah, in the aftermath of our moron-dispute I'll ask this quite frequently. And it's your second spelling this time. The first one is American and is something not nice which comes out of your nose! I've resently been working on a report and on one of the sites I found said that the head of the Great Sphinx is that of Hu (authority), Ra's son. Is there any proof, or any other opinions on who's head it is?